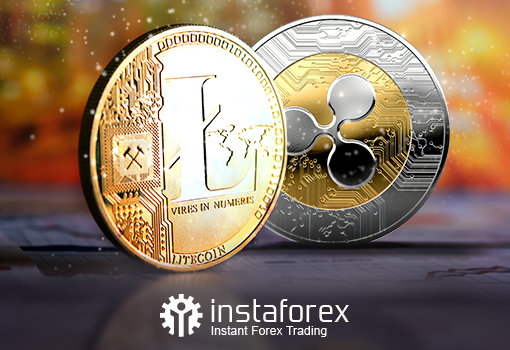 You can trade Ripple and Litecoin. Ripple is a currency of the global payment network, currency exchange, and remittance. The Ripple Transaction Protocol has been increasingly adopted by the financial sector as it offers banks a more secure and nearly free method of financial transactions of any size around the globe. A transaction is confirmed in less time than four seconds. This efficient payment system is capable of processing up to 1,000 transactions per second.